That’s one hundred percent true! When you fall in love, life transforms and you begin adopting the habits of your beau. This means you start thinking, talking and behaving like them. All this seems crazy in the beginning, and often you don’t even realize you’re changing. 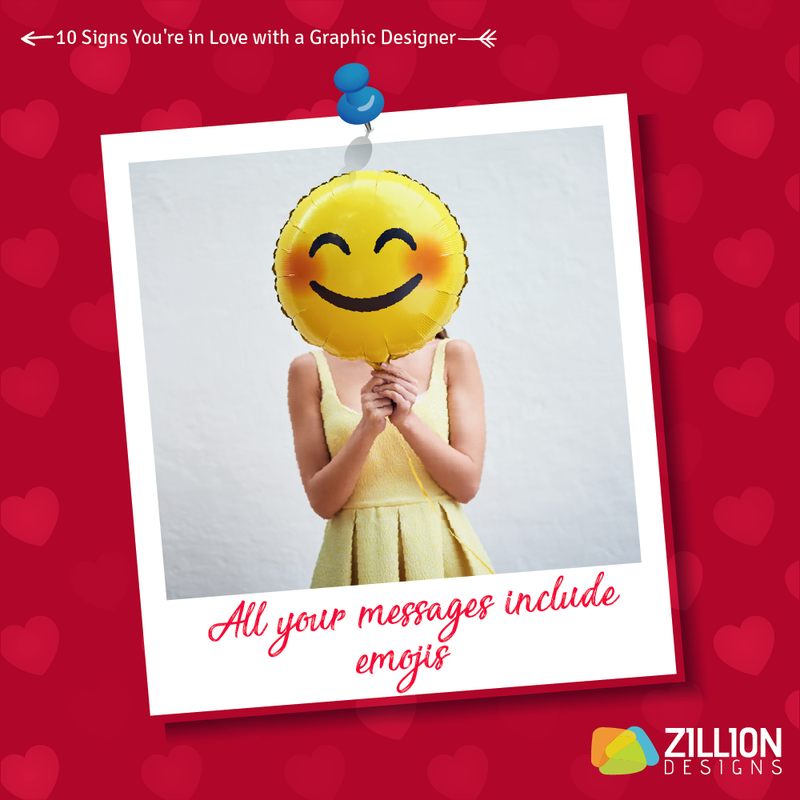 Your friends and family are usually the first ones to notice that perhaps love is in the air. 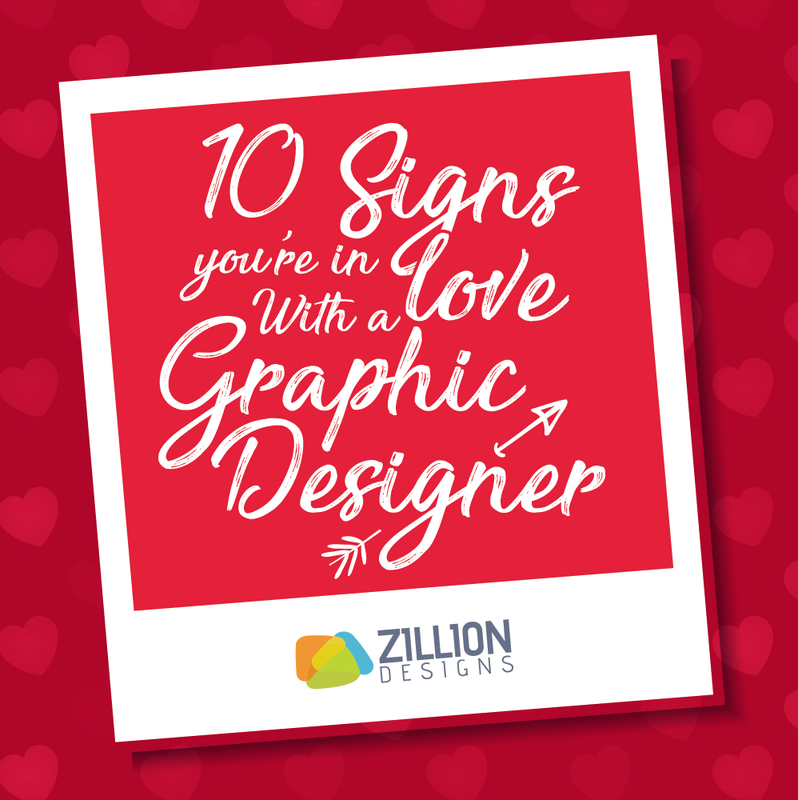 This said, having passionate feelings for a graphic designer is a different story altogether. The signs are peculiar, humorous and adorable at the same time. 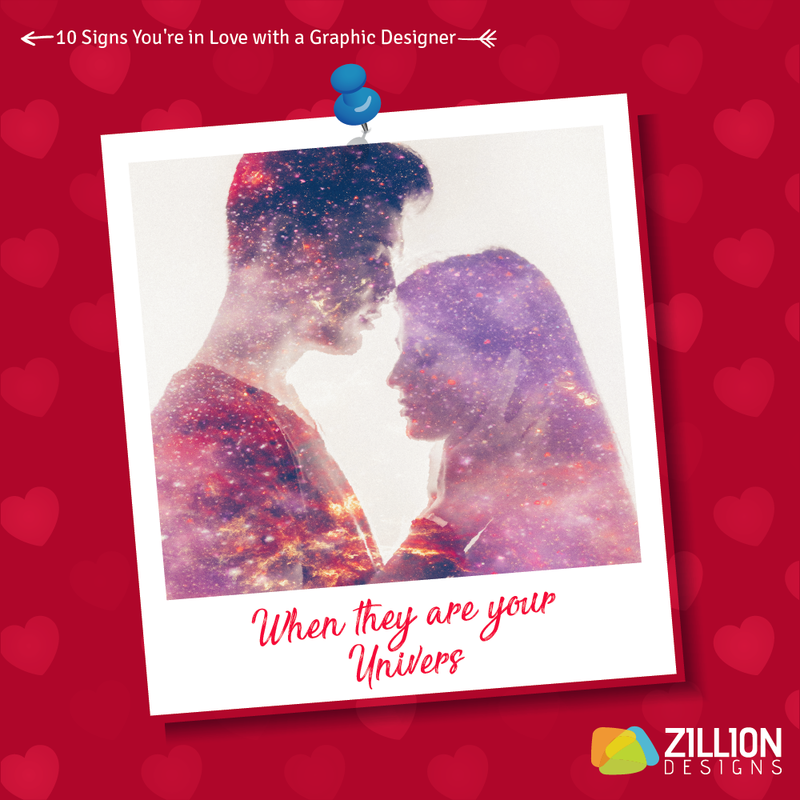 How Do You Know You’re In Love With Anyone? It’s tricky to figure out whether what you’re feeling is truly love or just a passing moment of attraction. There are some signs that give you the hint that maybe this time the passion is real. 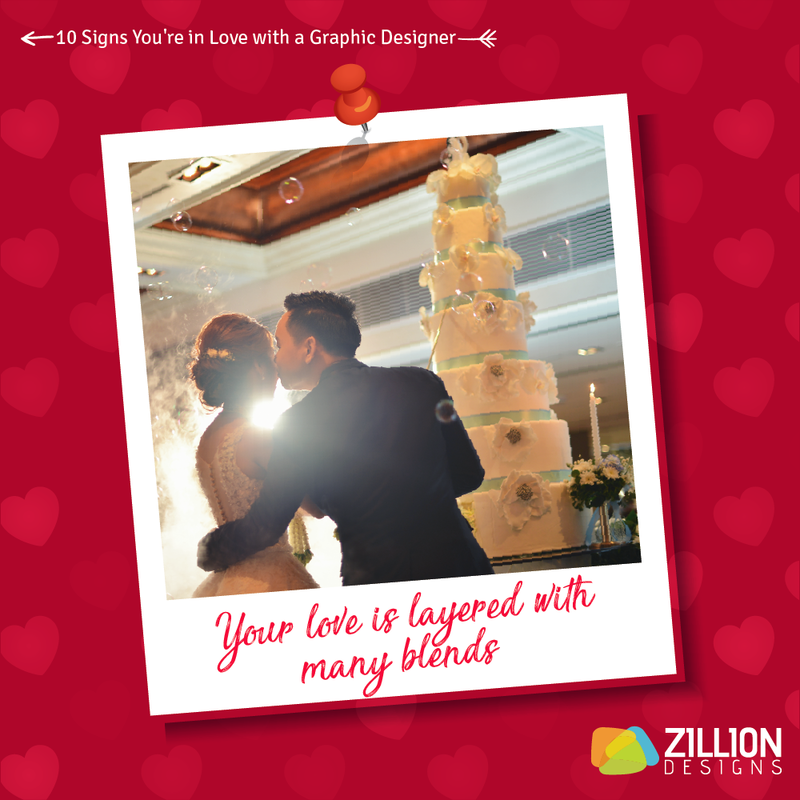 So let’s take a look at some signs of love in people who’ve got cupids flying over their heads. Love stresses you out! 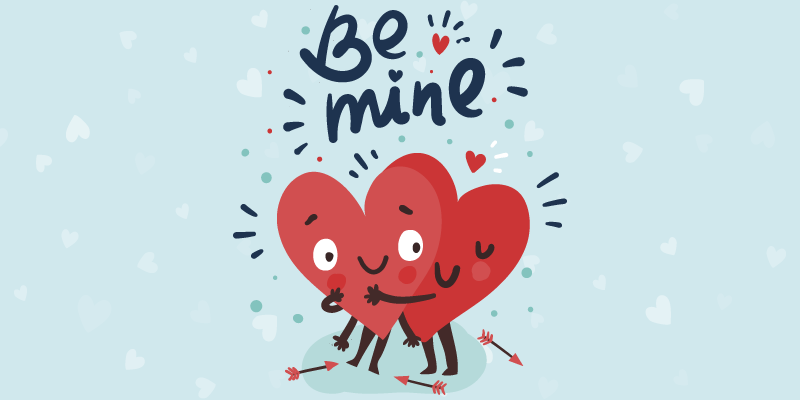 Generally, you’re supposed to feel good and you do, but many times the opinions of your partner matter so much that you’re constantly trying to improve yourself. 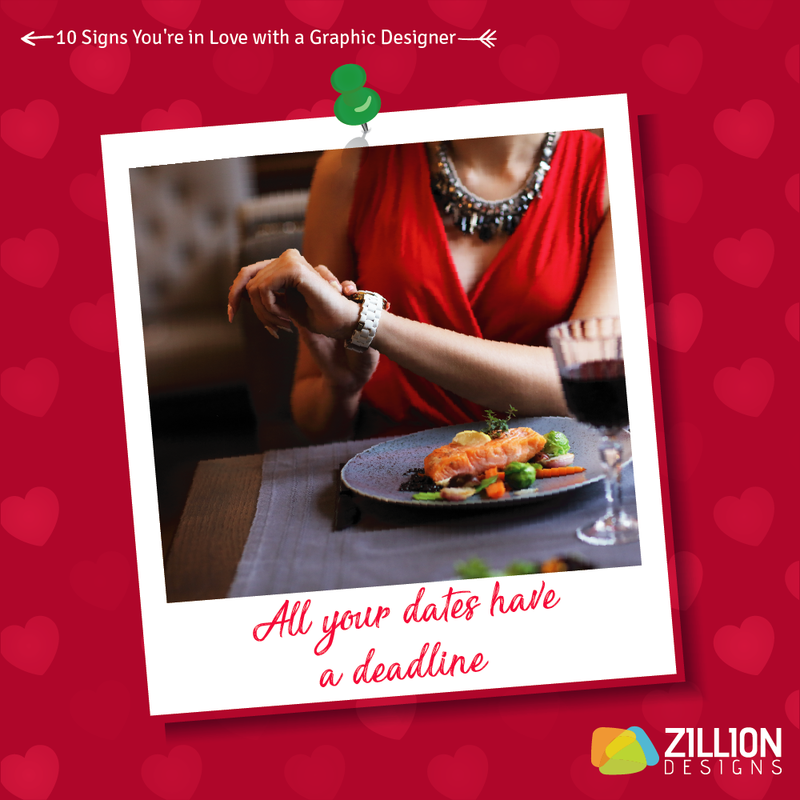 You’re super-motivated for the date. The underpinning factor here is the chemical dopamine that gives you a feeling of achievement once you’ve successfully met your darling. Investments increase. Well, not just in terms of money but you’re over-spending other things such as time, emotions and energy. Tempted to say “You’re my Volcano and I Lava You”? 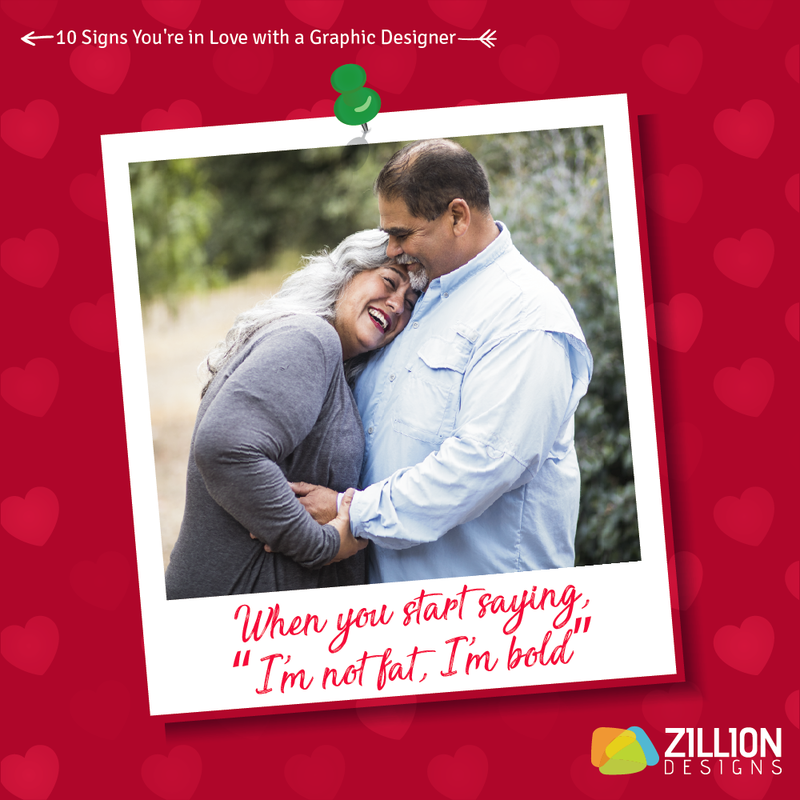 When in love you tend to create idioms and pet names for your sweetheart. You feel safer than before. The attachment gives you a sense of protection, like you’ve got a shoulder to rest on or that someone’s there to back you up. This said, these are cliché feelings. 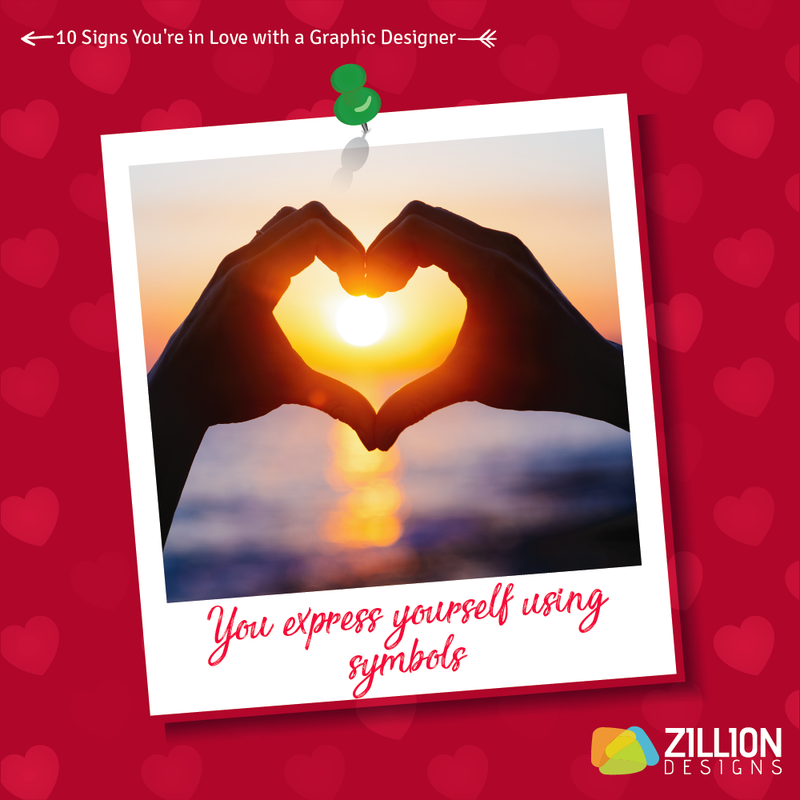 The unique ones are when you fall in love with a graphic designer because you start seeing the world in a new light. You tend to see everyone and everything in ways you never did before. All colors look brighter, designs flourish from dullest corners, spaces seem intentional, and a lot more happens. Designers have their own distinctive ways of understanding the world and living in it. They’re creative beings who have laser eyes that look through anything, analyzing it and evaluating its visual aesthetics and function. 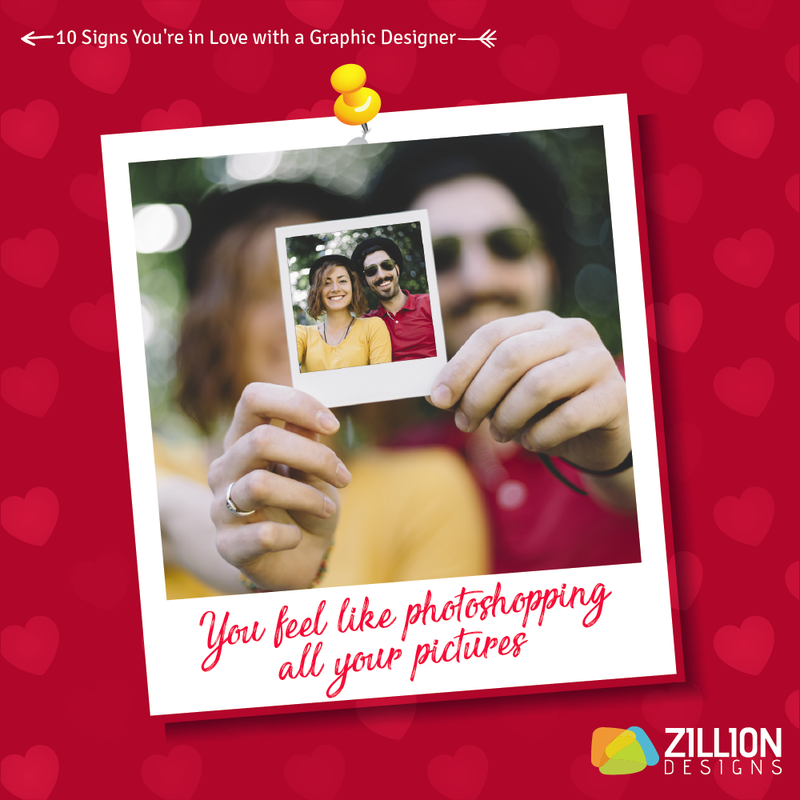 This is why it’s mind-boggling to think how it’ll be like to have an “intense feeling of deep affection” for a visual designer. It’s everything to do with appreciating visuals, accepting diversity and acknowledging empathy in communications. 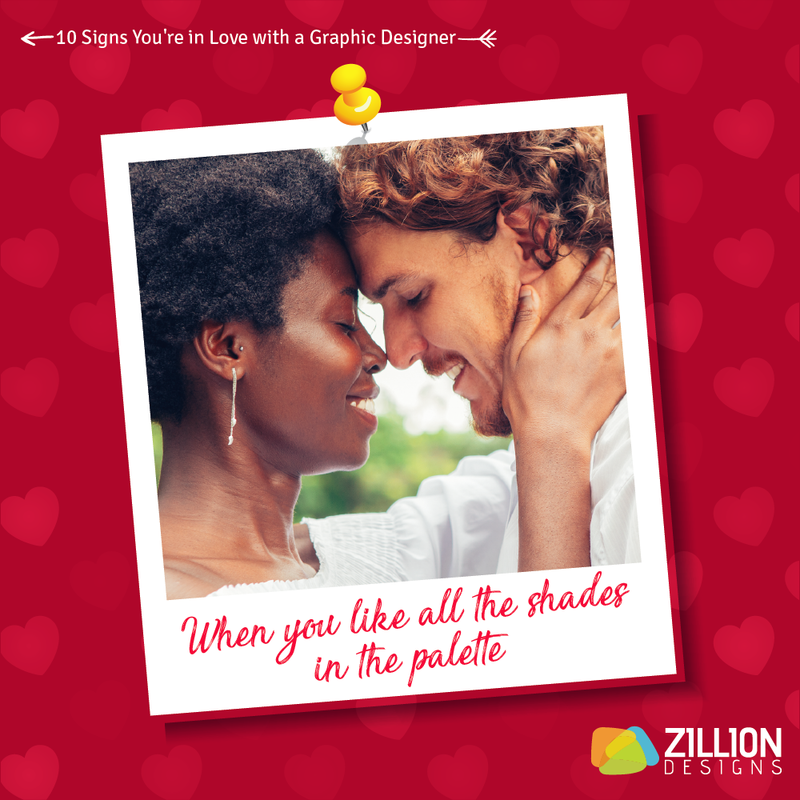 You’re definitely in love with a graphic designer if you feel this. 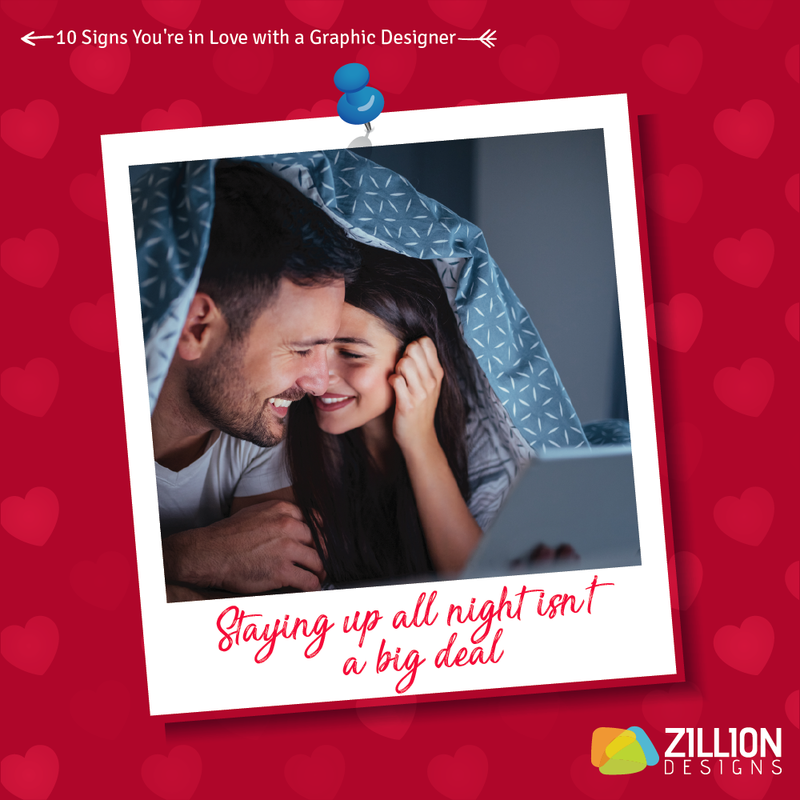 Are you in love with a graphic designer? Share one thing you are doing differently.